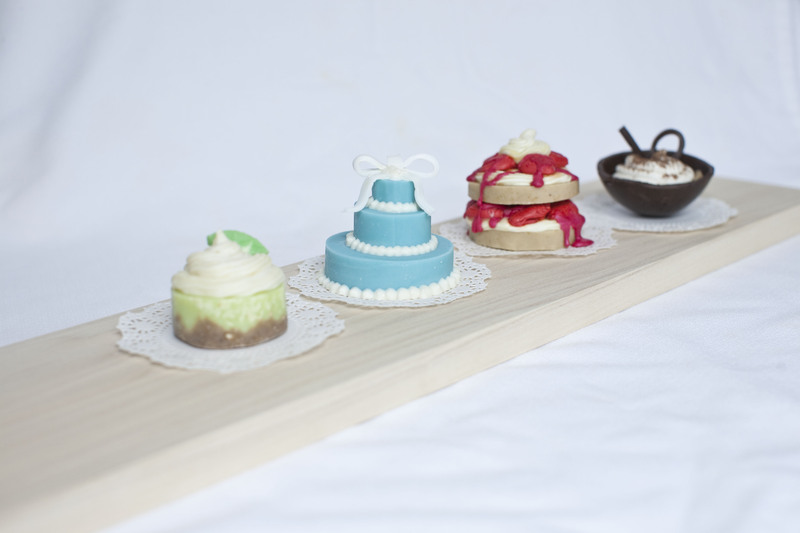 I made a Strawberry Shortcake, Key Lime Pie, Tiramisu Cup and a Tiffany inspired Wedding Cake. I used both cold process and melt and pour. The strawberries for my shortcake were made using Cee’s melt & pour fondant recipe and my kid’s Play Doh mold that had a strawberry in it. The food I used was colloidal oatmeal in my cold process soap. 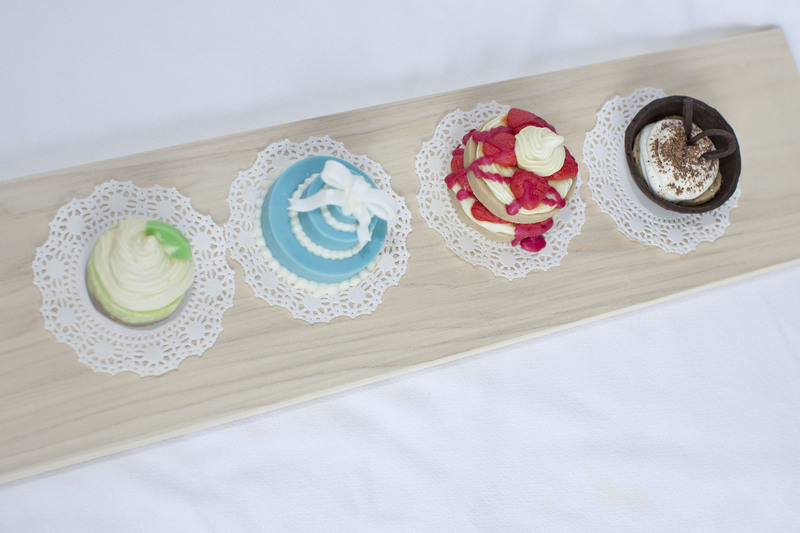 The melt and pour soap in my desserts are the bow on the wedding cake, the chocolate cup and garnish on the tiramisu cup and the strawberries and strawberry glaze on my shortcake. The Strawberry Shortcake was my first completed dessert. The melt and pour started to sweat after a few days. What a bummer. But I made a shortcake (cold process) with lots of oatmeal and some brown pigment to make it as real as possible. 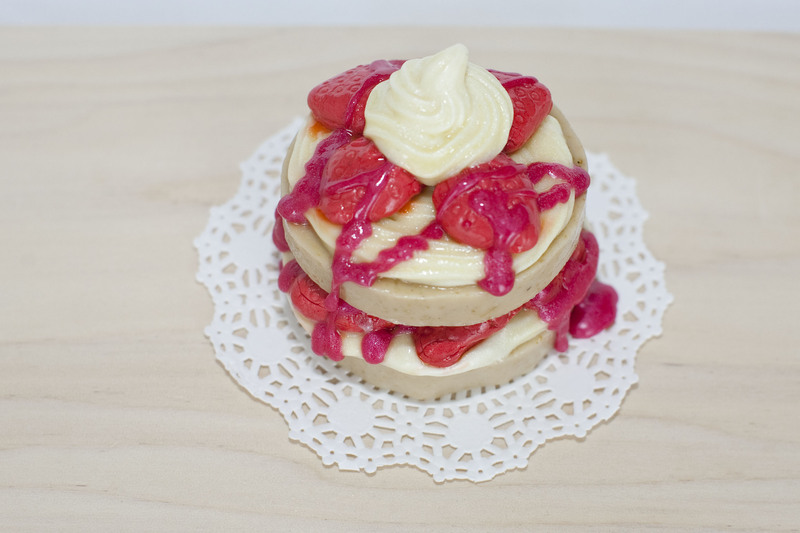 I made the strawberries out of melt and pour fondant soap and pressed that into the Play Doh mold. 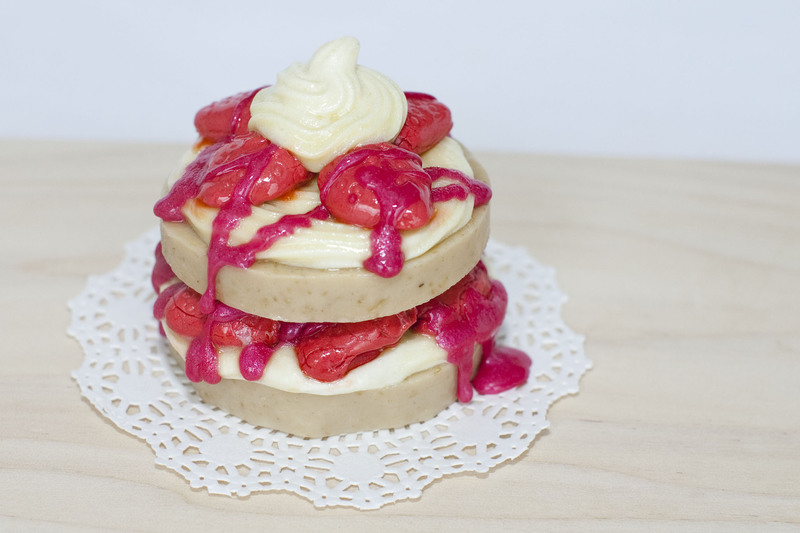 I sliced up the “shortcake”, added a layer of cp soap “cream”, layered some strawberries and drizzled the melt and pour glaze on top. And repeated a second layer. And next came the Key Lime Pie. I added lots of oatmeal to the crust of the pie. Added a layer of key lime goodness scented with lime essential oil and topped it off with whipped cream and a lime slice, also scented with lime essential oil. 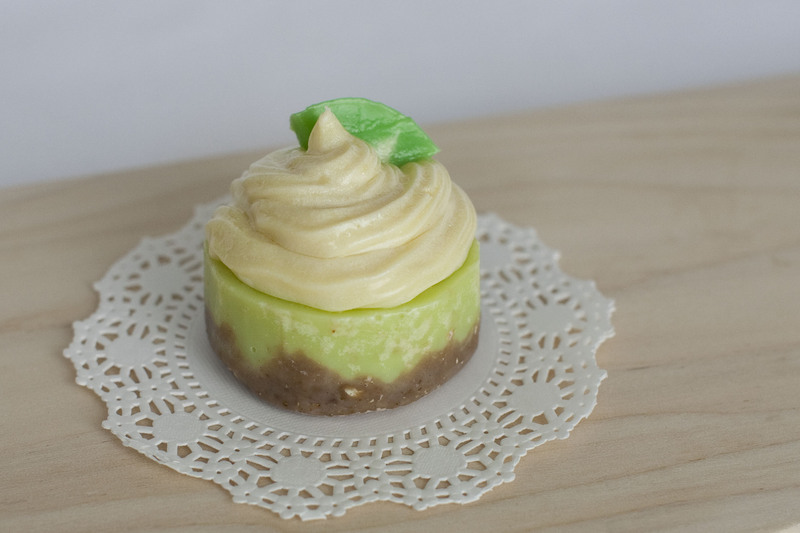 This mini dessert is all cold process soap. 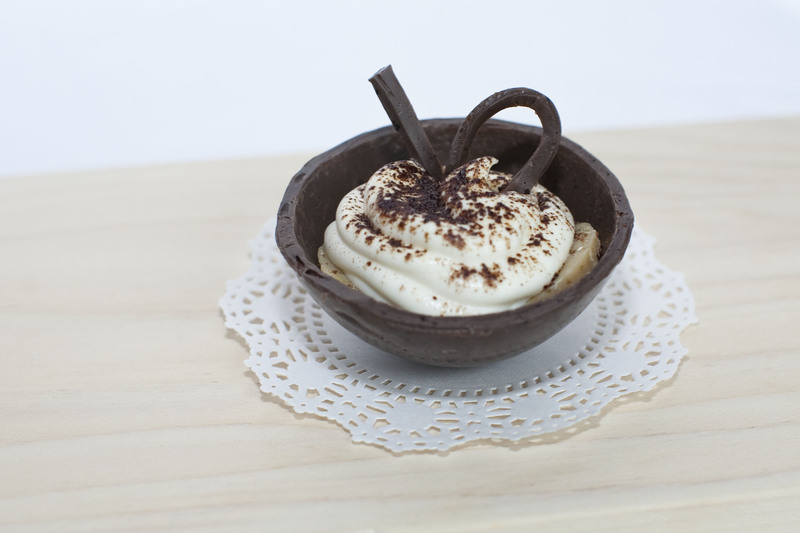 The Tiramisu Cup was an idea from Pinterest. I had a mold to create the melt and pour chocolate cup that I colored with cocoa powder and scented with Brambleberry’s Turkish Mocha FO. I used my shortbread soap as the lady fingers, made a cold process soap cream, dusted with more cocoa powder and garnished with more melt and pour soap. It is truly a decadent piece of soap. 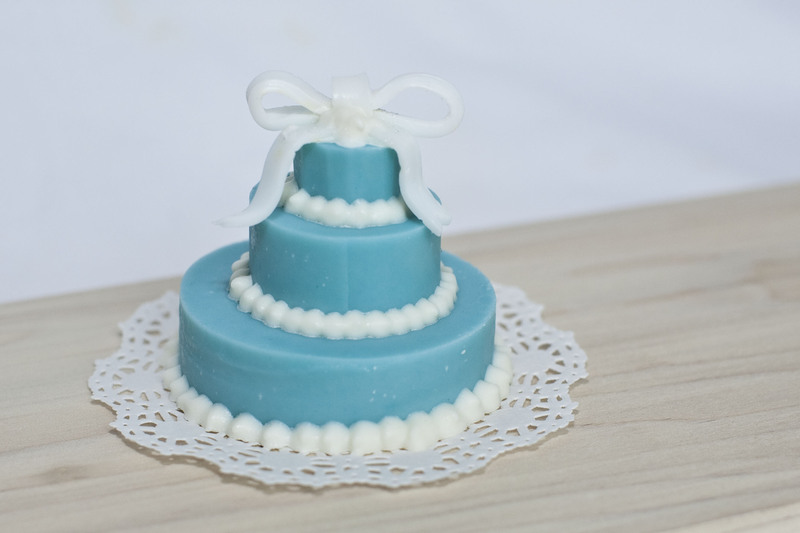 Lastly, my Tiffany inspired Wedding Cake. Again, a Pinterest idea. I made a slab mold of teal cp soap and added some oatmeal. I used a cookie cutter to cut the 3 layers from the slab. 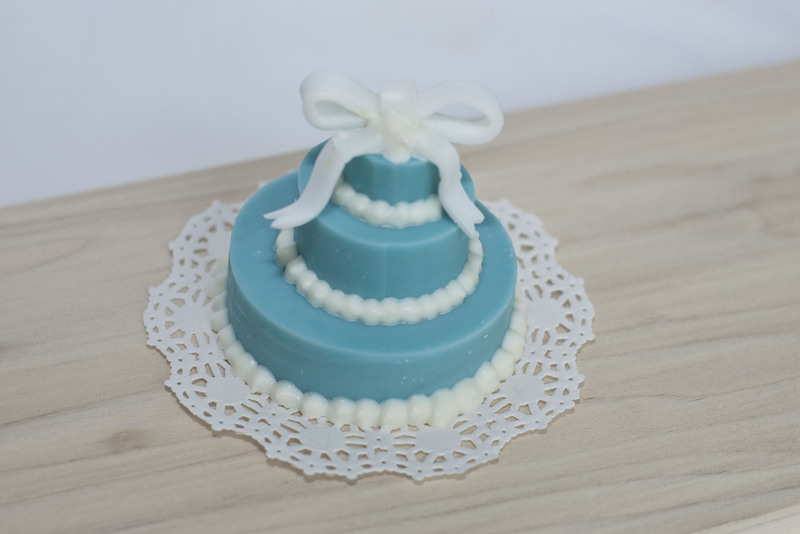 Put the cake together with some white cp soap frosting and topped it with a melt and pour bow. Well Done! I am impressed with the variety that you were able to make. I want to gobble down that tiramisu right now. GREAT JOB! Thanks Julie! It was a lot of fun! I am thinking I could do some in the future for bridal showers, etc. Everyone is a fan! Where’s my fork? I’m ready to eat!! These look amazingly real and delicious!! So glad you had some fun with these!! My husband wants to eat the Tiramisu cup in the worst way! It’s great! 🙂 Thanks for the love! Love how they are all so uniform in size….and so tiny! Awesome! 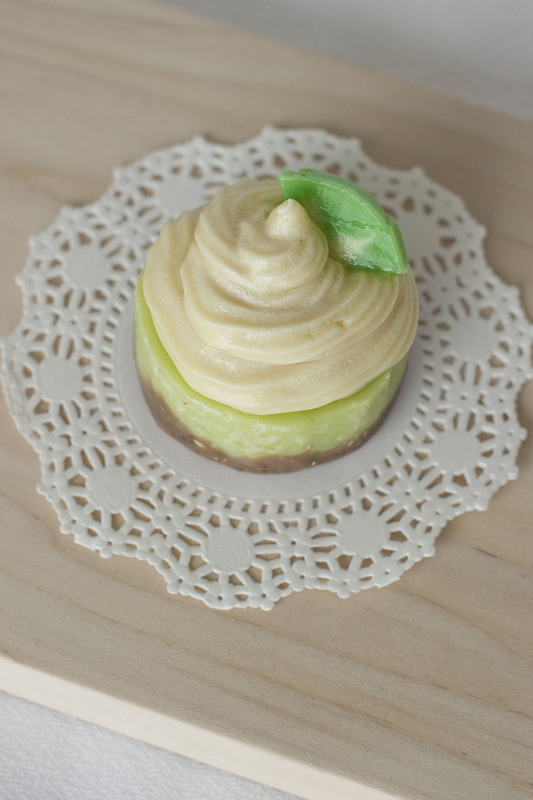 Love the key lime pie and tiramisu! Great job! 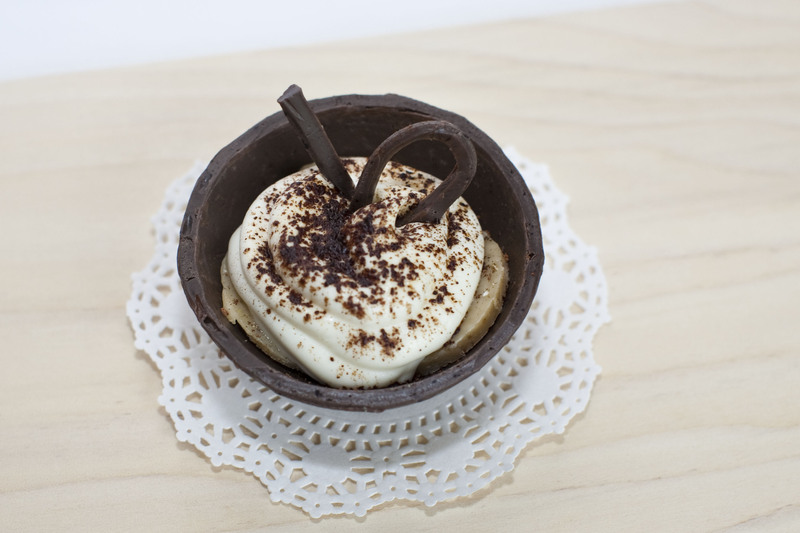 Your tiramisu cup is so perfect! Looks very real.